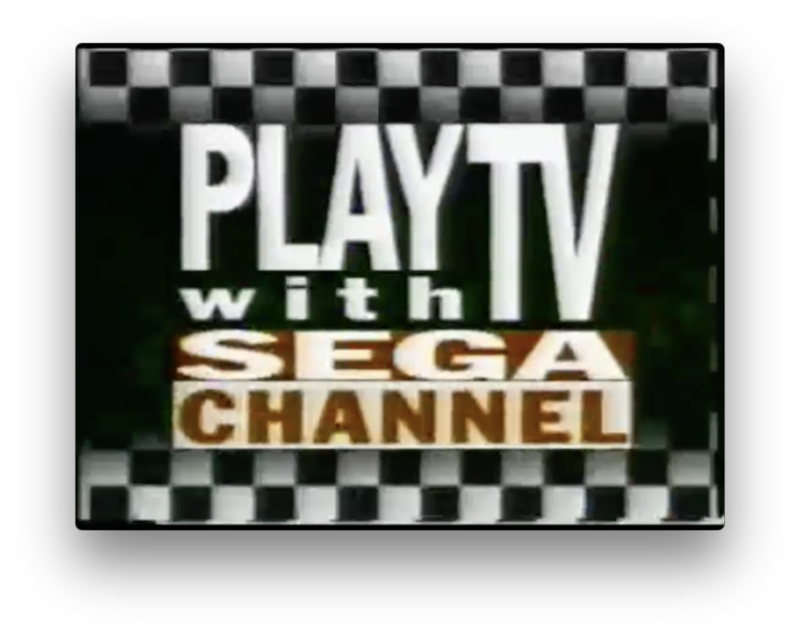 The fact that streaming video game services are only just now entering the mainstream shows how innovative The SEGA Channel was in the early 1990s. 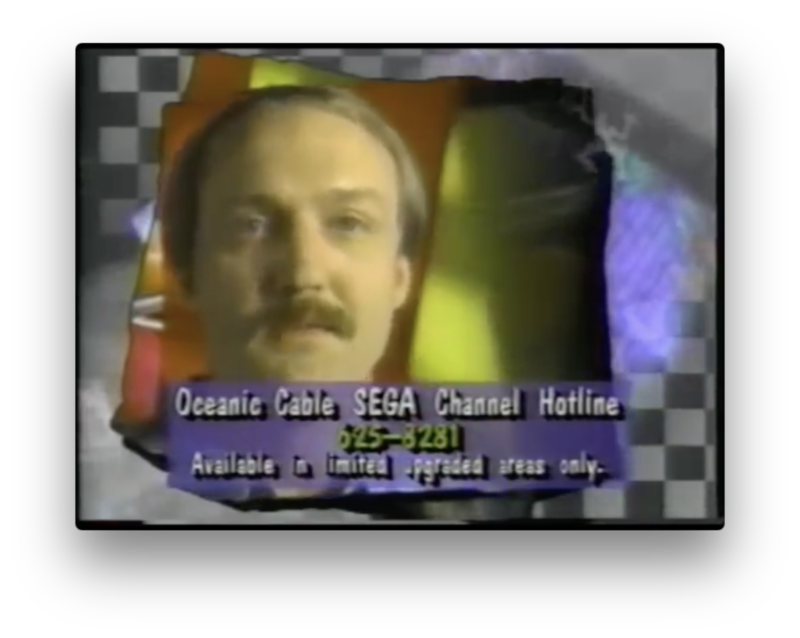 Harnessing the power of and the enthusiasm for cable TV, SEGA worked with local providers to roll out the SEGA Channel in 1994. This subscription service ($13/mo) offered a rotating selection of 50 downloadable Genesis games and other content that included betas, hints, and even exclusive titles that weren’t getting physical releases in the US. Seems like a great offering, but there were a few mis-steps. For one, this came out in 1994. The Genesis came out in 1989. It was almost dead at this point and the Saturn was just around the corner; launching a big idea like this could have been a play at squeezing a few more years out of the old console, but it wasn’t really seen as a great value. Also contributing to that was the price. 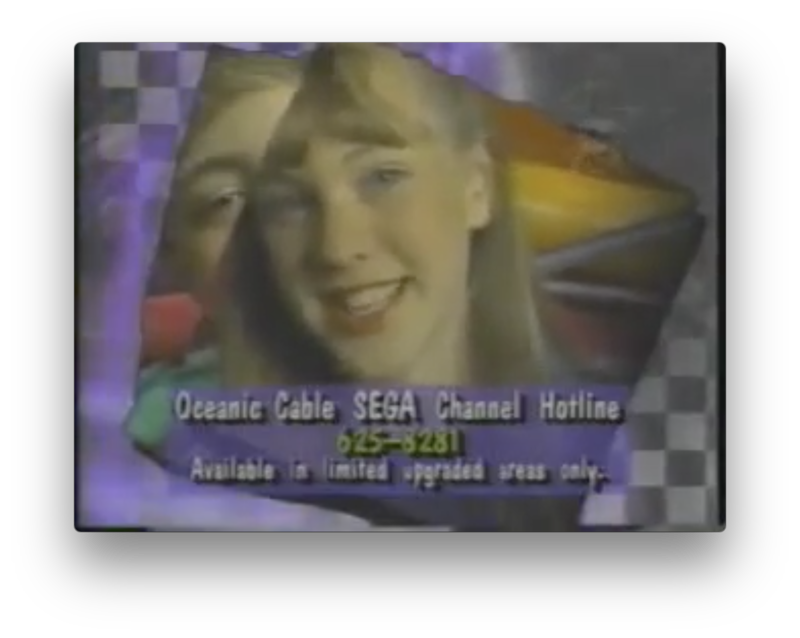 Thirteen dollars was a lot to ask parents for every month for unlimited access to those brain-rotting video games. 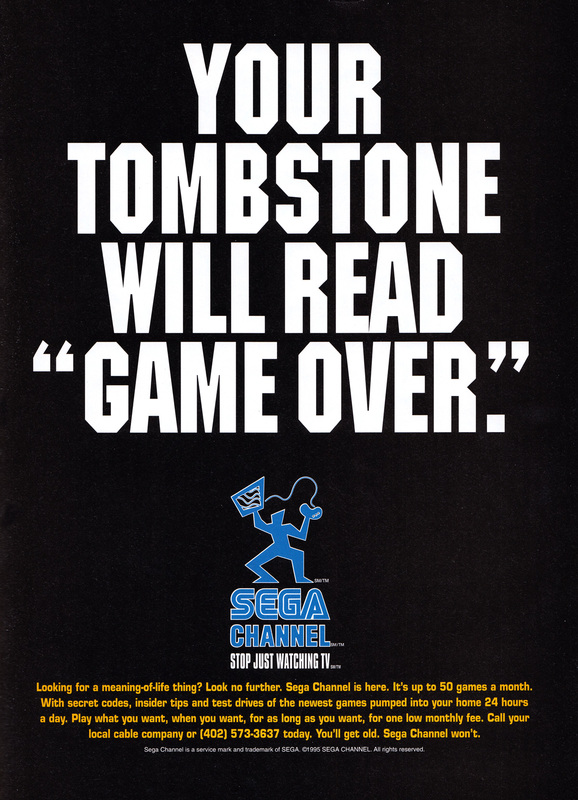 Still, we may owe a lot to SEGA for trying this. 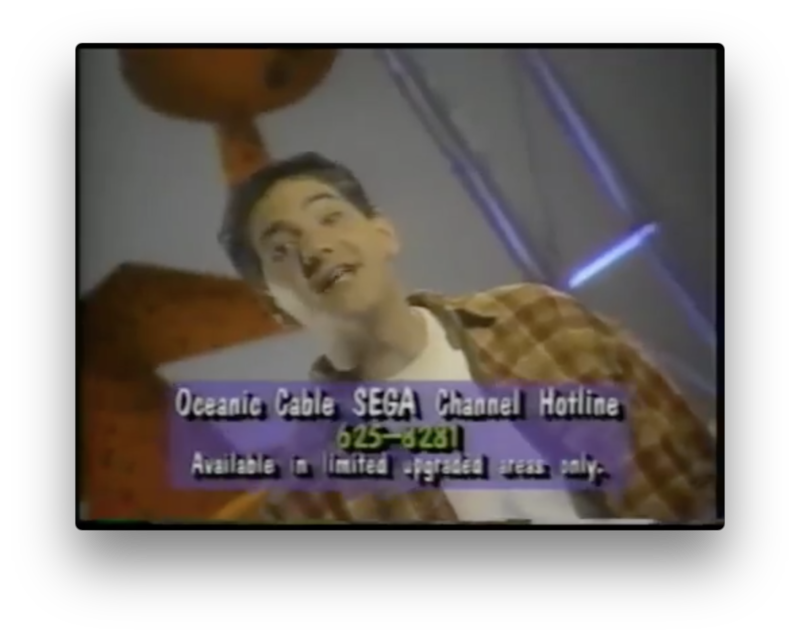 SEGA worked with cable companies to clean their signals in order to be able to effectively upload games to subscribers, a move that facilitated the advancement of broadband later in the decade. 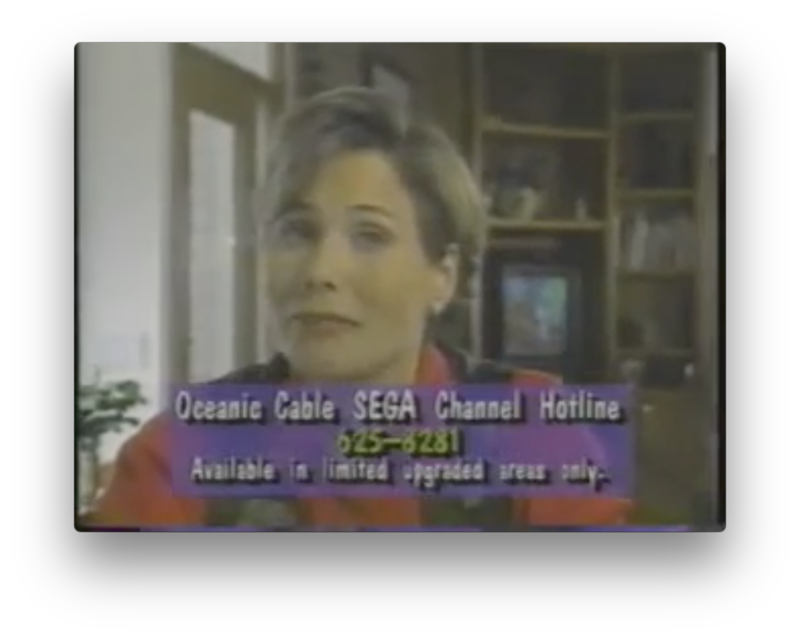 If you can watch this (spoiler) awful infomercial SEGA Channel infomercials without any freezing or stuttering, you’ll have even more reasons to thank SEGA than you thought. 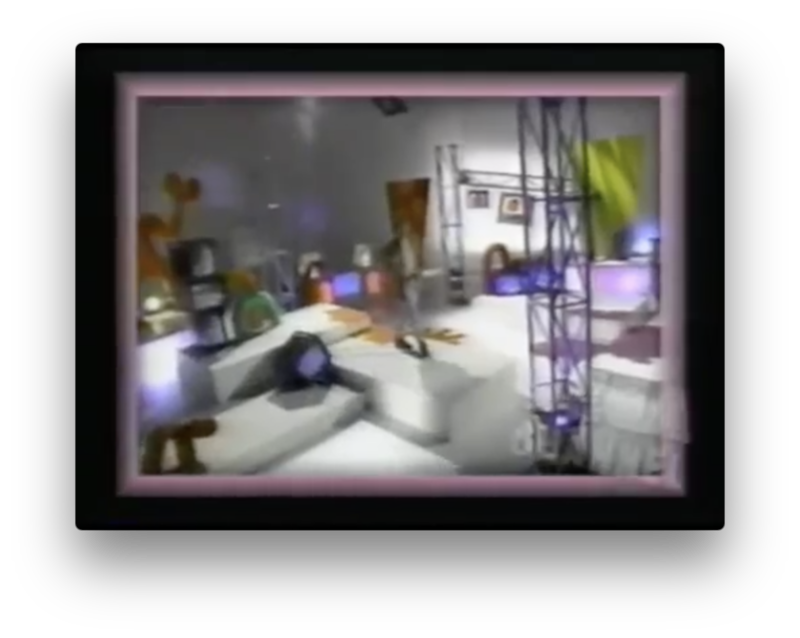 So yeah, the infomercial – this parody of itself aired on cable in 1994 and 1995 and hits an almost “Saved By The Bell” level of adult-interpretation-of-what-cool-is. It’s amazing that such a great, envelope-pushing idea was stained so deeply by its marketing. Trying to sell a service as both desirable to kids and safe to adults pretty much requires throwing any idea of ‘cool’ out the door. They should have just stayed focused on ‘fun’, but the ’90s were the ’90s and this is what we got. In a way, I’m glad for it. It’s a special kind of awful. Our first host of two hangs out on a set that resembles those ‘unconventional’ class picture backgrounds…. …while our second is ‘on location’ at EPCOT, where SEGA had a station in the Innoventions pavilion. A deserved position for the idea but still, this guy’s the worst. 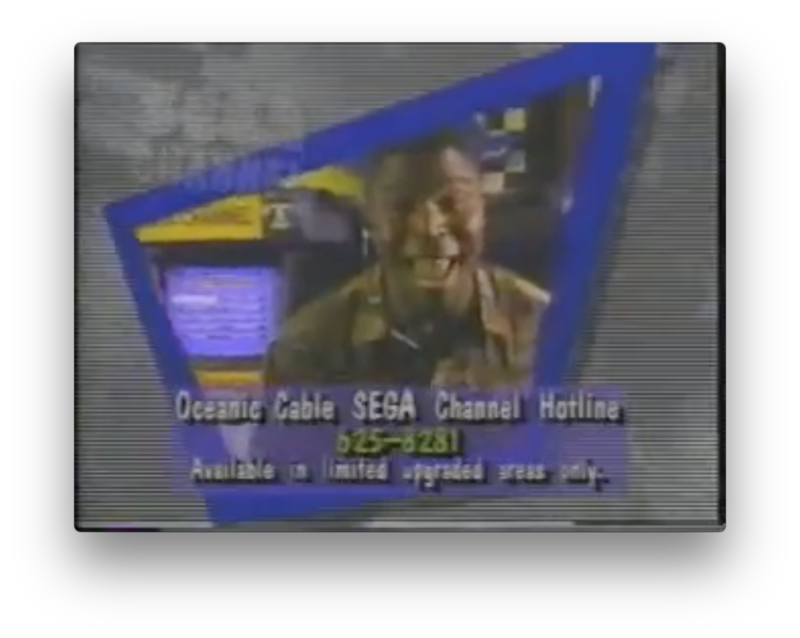 “Stop just watching TV, start playing it, with SEGA Channel!” They were playing TV before, when the console was hooked up to it! It’s eight minutes that feels like eighty, and it’s terrible and hokey and fantastic. Enjoy.